It has been well documented that the Nintendo 3DS is really starting to slow down, with the number of new releases for the platform almost dwindling to a complete standstill. Having said that, a handful of new games did just about manage to find their way to store shelves last year, and the console's fantastic catalogue of titles are still driving system sales to this day. Now, thanks to new data from the NPD Group's Mat Piscatella, we can see exactly which Nintendo 3DS games were the best-selling of 2018 in the US. None of these managed to break into the top 20 across all platforms - which was entirely dominated by Switch, PS4, and Xbox One as you might expect - but it's interesting to see which games are performing the best this late in the 3DS' life. Note: Just like the top ten Switch game list we shared earlier, this chart has been ranked by dollar sales, not unit sales, and looks at physical sales only. As is often the case with Nintendo handhelds, Pokémon is dominating the chart, with the latest generation of offerings claiming the top two spots and last year's spin-off, Detective Pikachu, doing very well for itself, too. While some of 2018's new releases did make it into the top ten, the business end of the table consists purely of older, evergreen titles. Are you surprised to see older games dominating the 3DS' software sales for 2018? Share your thoughts with us down below in the comments. At this stage in the 3DS's life i'm not surprised with the older titles still being amongst the best sellers. Most of these are in the Nintendo Selects line so cheap pickups. @shaneoh that’s harsh... just because the 3ds is old doesn’t mean that the system is garbage... that’s like calling the SNES garbage because it’s not new. Love the 3DS, USUM are the excrement. @shaneoh oh, I see. Well, I haven’t played them, so I can’t judge. It’s too bad WarioWare didn’t do better. It’s a really good game. I'm not surprised. Its pokemon after all. I'm surprised to see Luigi's Mansion make it in the top ten since it released in October. Though without any sales figures, it's hard to glean anything concrete from this list. Game could've sold surprisingly well, or there could've been a HUGE gap in performance between first and eighth. "Pokemon Ultra 86% reused content"
What was new was mostly quite enjoyable though. And unlike some people, I didn't dislike the original Sun and Moon. I just felt it wasn't your story, it was Lily and Gladion's stories and simply should have focused on them. Cue the Pokémon complaints. Although that reminds me, i still need to get ultra sun. I expect an official statement from Nintendo shortly about the 3DS's unprecedented success in 2018 and that it will outlive us all. @shaneoh Not entirely true. Have you ever tried to sell manure to a cattle ranch? Jason, give me the numbers Jason! After deciding I would skip US/UM due to there being no real dramatic difference from S/M, I bit during the holidays. They were on sale for half the price and it just made it a bit more easier to stomach. So I'm going through Ultra Sun now. I liked Sun and Moon originally. They were ripe with issues. Some more annoying than others. But nothing completely deal breaking. I can certainly see in this play-through the criticism towards the use in cut scenes. I didn't really notice playing through Moon. I see it now and it is a bit on the absurd side. I did decide to forgo turning on exp share and kinda go old school in raising Pokemon. So far, its been fun and has provided some challenge. Its always been optional to turn it off and on since they changed the mechanism. So I never really took issue with how it works now. It's also nice to not feel like I'm missing out on catching the newer Pokemon/Ultra Beast. Which I am sure is the emotion Nintendo/Game Freak wanted to tap into. Nonetheless, the Mantine surfing is fun. I'm only on the third trial, so I haven't gotten to some of the other differences/additions. I do hope for the next gen games, they cut down on the cut scenes and give us more control over what we get to do or how we interact with the world. USUM is a great game. Its only problem is being to similar to SM. But what's different is good. This fanbase disgusts me sometimes. The 3DS Pokémon games are all a steaming pile of mediocrity and yet people are still buying them. They’re the NSMB of Pokémon. Cue the Pokemon salty tears..
@Bolt_Strike I disagree, I liked the changes they made. While not everything worked I felt they added some really good stuff, like HM's being replaced with ride animals was really nice. I think there needed to be a bit more in the end game, the content there should have been what was received in ultra sun and moon for the original game. Also the mix up with alolan pokemon was a good way to refresh some older pokemon. @Bolt_Strike What did Pokémon and its fanbase do to piss you off, lol. To me USUM is basically SM if they had bothered to actually finish them. Kind of too much so really - the second and third islands are basically identical to the original games and it does a lot to drag the experience down. That said one big mark against USUM is Rotom. In SM thought he was fine but I wanted to kill the little nuisance in USUM because of how much he absolutely refuses to shut up. @Tulio517 kind of the point since it was a remake of SM. i got it mostly to store my non-shiny living dex on(except the shiny versions of the new UBs) & farm for shiny legends that i didn't have. also as @Lizuka rotom was a nuisance that needed a mute button. Ultra Sun = such a great game. I am 300+ hours into so far and still having so much enjoyment. @UmbreonsPapa Throw their money at cheap, cash grabby mobile wannabes with 0 substance. No surprises here go figure. @Bolt_Strike only Trolls could make comments so off the mark. Can't see this is a 3DS game. This is unsurprising considering some of the sales running over the holidays and the franchises involved. @Silly_G Two, actually: Detective Pikachu and Luigi's Mansion. It's a shame WarioWare Gold didn't make it though. Mario maker 4 Switch when? @Dogorilla : Whoops. I stand corrected. It had been so long that it felt like it had been longer. I wasn't expecting WarioWare to make the top 10, sadly. I thought the timing of it was ill-conceived for it to make any real impact, saleswise. The fact that it was a "best of" compilation of a dormant franchise didn't do it any favours either. @AndreaF96 And I say it is the worst out of all of them...... Too many cut scenes, and Rotom telling you where to go and can't disable it, etc. Basically I was not really excited about it at all. @IceEarthGuard I respect your opinion even though I do not agree with you. I liked the cut scenes a lot: they made me care about the characters (even the stupid girl) and the professor gags were kinda fun. I was not annoyed by rotom as much as you and other users: I simply ignored it when it had nothing useful to tell and found it pretty useful sometimes because it helped me avoid wandering around trying to figure out where whas the place I needed to go. The graphic was the best of the series in my opinion (even though it was a bummer that it didn't implement the stereoscopy) and the story was intriguing enough to keep me playing. I loved some characters: the professor and hau most of all. What really got me was probably the hawaiian setting (together with the music):: I found it deeply inspired and inspiring, so much so that I would like to revisit alola on switch in fullhd. 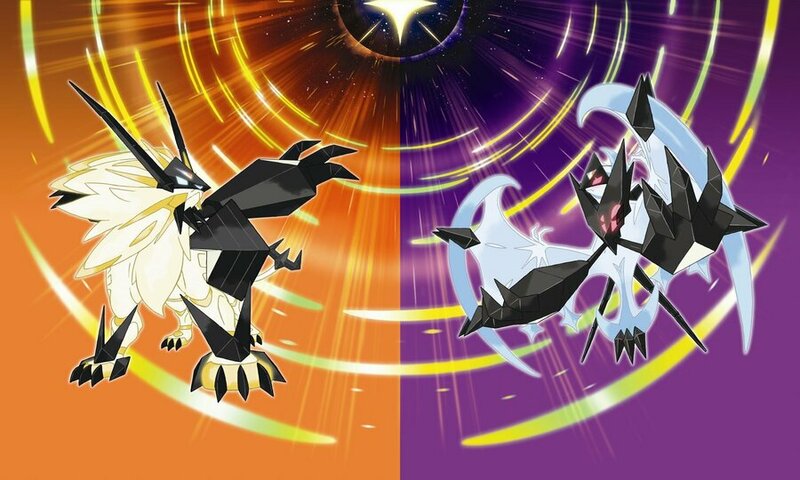 In my opinion usum were the best 2017 games together with botw (yeah, I rate them above odyssey). Still, it's just my personal opinion, not a fact. Just to be clear: I'm almost 23 and I've played most of the main series games (and most of the spin-off ones as well). @SwitchForce I know full well this is a 3DS game. But most other 3DS games aren’t this painfully linear or intentionally gimped to pander to mobile gamers. Two awful games. They really need to stop with the space beast nonsense. After Pokémon XY they've got worse. @Heavyarms55 it was a motion picture movie. I was sick to death of tapping A after 5 minutes of play to skip through a 20 minute cutscene. That was a horrendous decision. @GKO900 They're even worse, and I would lump them in with the 3DS games. LG is all of the problems with the 3DS era taken to an even further extreme. Pretty much everything people complain about with LG is also an issue with the 3DS games. As I have said before, this needs to be ported to the Switch right around the time when the movie is released. It would be a shame to see this spinoff rot away on the 3DS.